Mrs. won big at the Sinag Maynila Film Festival 2016 Awards winning Best Film, as well as Best Director, Best Cinematography, and Best Actress (for Elizabeth Oropesa). The awards night was held on April 24 at the Samsung Hall, SM Aura Premier, Bonifacio Global City in Taguig City. 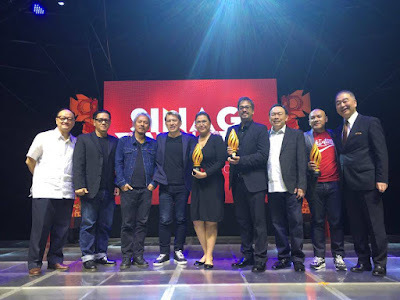 The festival this year showcased not only the feature-length films from directors Adolfo Alix Jr, Ato Bautista, Mes de Guzman, Jay Altarejos, and Gino M. Santos, but also short films and 3 to 5-minute films in the Samsung Cinefone category. The films in the Samsung Cinephone category were shot using a Samsung phone. Lav Diaz (Head of Jury) – Philippines, Ishizaka Kenji – Japan, Philip Cheah – Singapore, Roger Garcia – Hong Kong. SHORT FILM: Joey Reyes, Raymond Red and Mark Meily. Best Actress: Elizabeth Oropesa – MRS.
Best Director: Adolfo Alix Jr. – MRS.
Best Screenplay: Archie Del Mundo and Joselito Altarejos – T.P.O. Best Cinematography: Albert Banzon – MRS.